Nancy Kline is an American-born author, teacher, coach and public speaker. 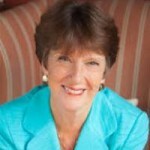 Nancy Kline is President and Founder of Time To Think, an international leadership development and coaching company. She has pioneered and developed the Thinking Environment since 1973, and is best known for her books and work on Time to Think, listening skills and coaching.